Concrete Elegance is a great lecture series to be a part of. Researching the projects to feature and hosting the evening is always a pleasure, and you never know quite what insights will be revealed about designing in concrete. Concrete is an amazing and versatile material so observing the similarities and differences of approach and the design teams’ experiences is always a highlight. Our first event of 2018, on 22nd March, was no exception. 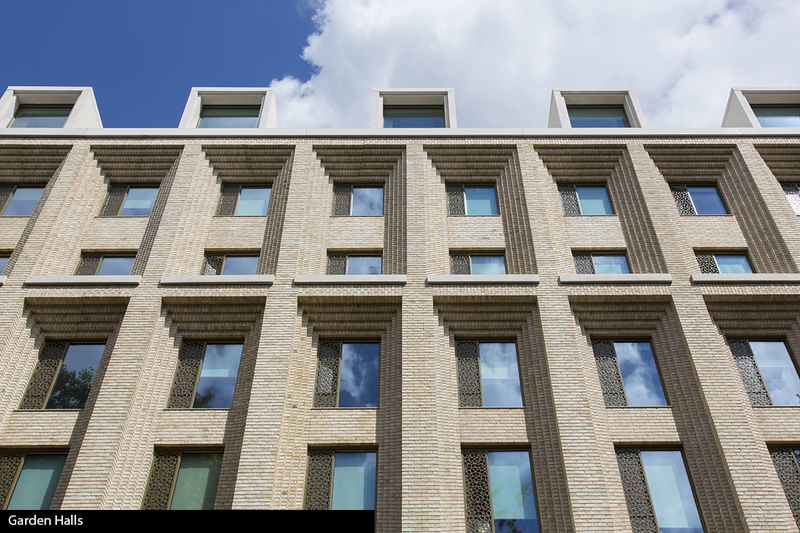 Richard Lavington and Gavin Finnan, of Maccreanor Lavington Architects were joined by Steve Morgan of Thorp Precast to explain the design concepts and detail development of the brick-faced precast concrete facades of the Garden Halls student residences, London. 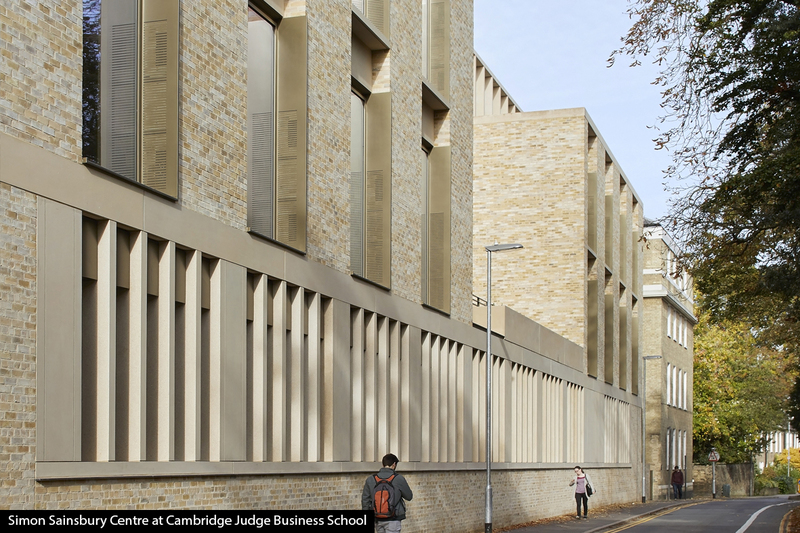 This was followed by Gavin Henderson and Stephen Hadley of Stanton Williams Architects on their recently completed Simon Sainsbury Centre at Cambridge Judge Business School and they were joined by Steve Toon, AKT II who provided the structural engineers perspective of achieving the exposed cast in situ concrete structure of this education and office environment. 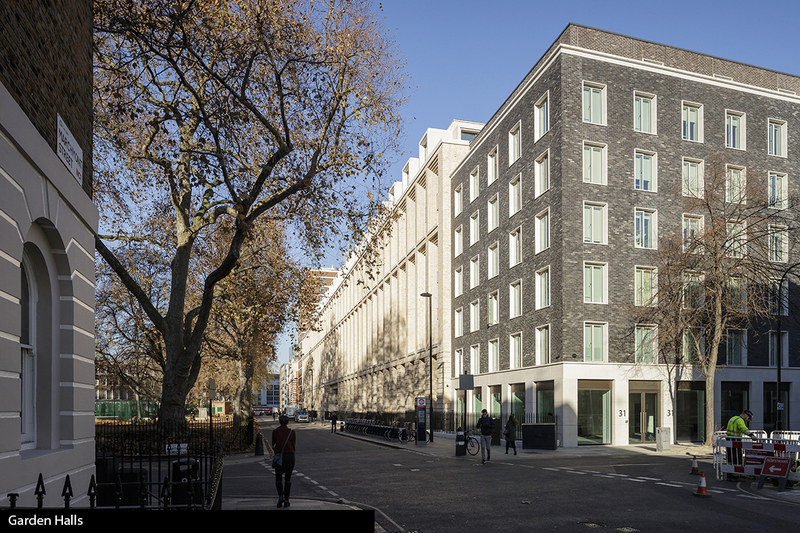 On both projects, the successful collaboration between the design teams and specialist contractors was very evident in the working relationships formed and the quality of the end-product. At Garden Halls this manifested itself most strongly, for me, in the development of the details. Here facades were constructed using over a thousand concrete panels, yet there are no visually distracting movement joints. 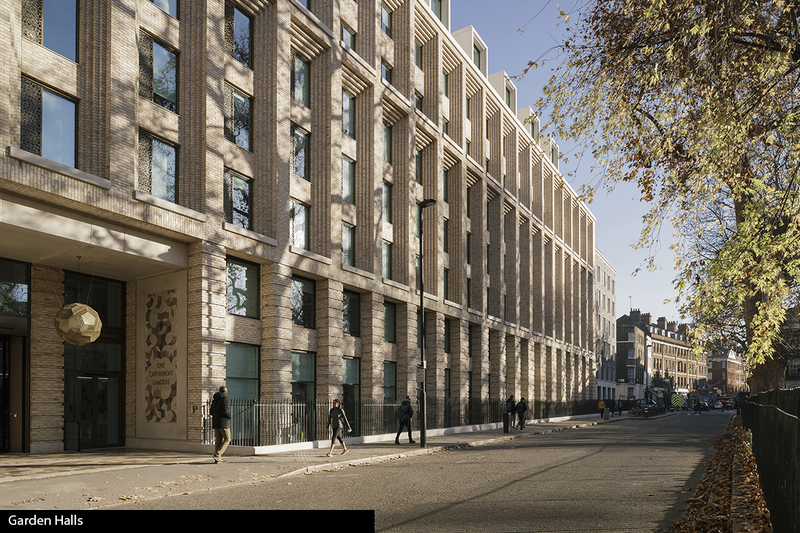 Horizontal soft joints were eliminated by stacking the two-storey high units the full height of the 8 storey building and a full-scale mock-up of key junctions was produced in the factory to fully test the design. The quality of the exposed cast in situ concrete structure at the Simon Sainsbury Centre clearly benefited from the experience and collaboration of the entire design and contractor team having worked together previously on the Stirling Prize winning Sainsbury Laboratory. In fact the project was used as the benchmark for quality of surface finish required but a project specific sample panel used to establish a benchmark for site itself. Here a mix with 50% GGBS was used to lighten the colour of the concrete. 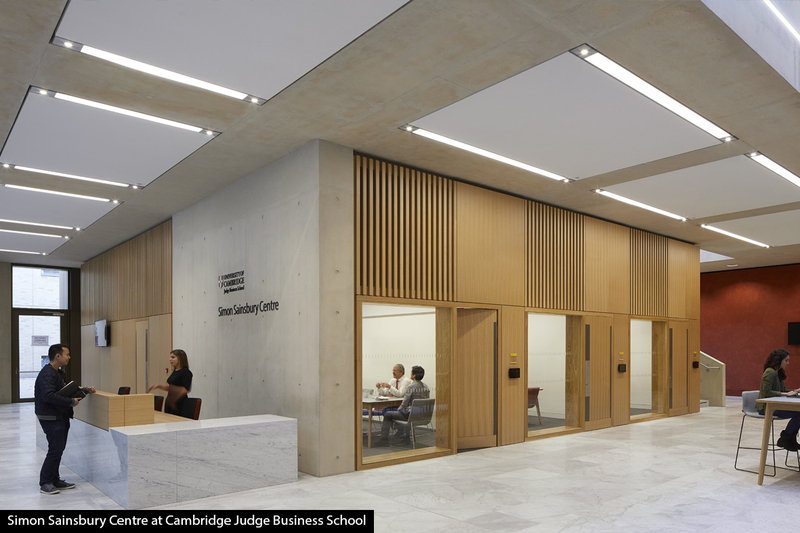 For more information and to read the relating case studies, visit Garden Halls & Simon Sainsbury Centre. 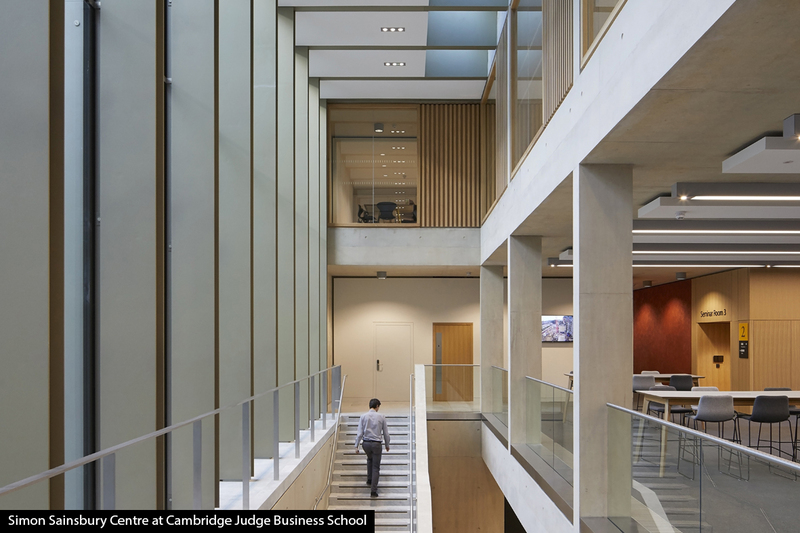 Photo credits: Garden Halls, London (c) Tim Crocker; Simon Sainsbury Centre, Cambridge (c) Hufton + Crow.